You know, I really tried to get that to work. Has a laugh together? Farts together? Kids think that one is hilarious, but not quite as fitting as I'd hoped. 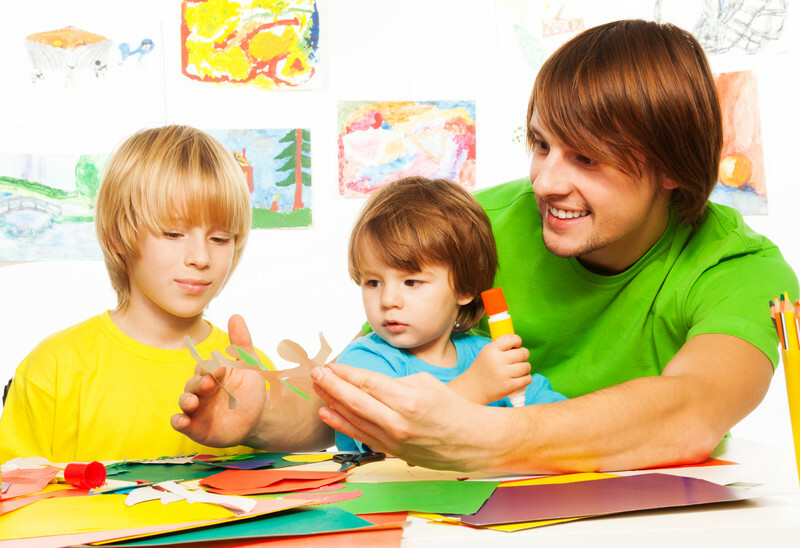 However you say it, families that participate in crafts together have an incredible amount of fun. But it's not just all about the giggles; sure, the kids gluing each other together is funny, but underneath all the hilarity some important things happen when families create wonderful things together, whether it be making papier mache pinatas for a birthday party, or helping to paint a piece of furniture for a child's room. I'd like to talk about shared creativity first. As parents we pass many things on to our children; bad habits as well as good, but most of us make a conscious effort to pass on positive values, skills and personality traits. Sharing and demonstrating creativity to our children teaches them the value of creativity, and the usefulness of being artistic. Creativity becomes not just an ephemeral quality that doesn't have a dollar value so therefore has no value, but something real and tangible; the ability to make a beautiful, useful 'something' out of a pile of fabric scraps, some paper and glue, or a few bags of beads. Bringing life to materials, and creating something that previously existed only inside your head is a mind-blowing concept. Teach a child that it is possible for them to create their dreams using only their own two hands (and a bit of help from Mum or Dad!) and you are giving them a very powerful sense of self belief that can carry them through many difficult situations both as children and adults. Another amazingly important thing happens when you create and craft together as a family is the creation of a family culture, and the creation of those wonderful childhood memories to go along with that. Activities we do for fun with our kids do come to define our family unit to them as they grow up. Thinking back, we can all remember things we 'always did together,' and those memories are often brought back by certain smells, items, or activities. You remember the way your family was, and is; the things that were important to you as a family, activities you all enjoyed together, and the kind of people you were. Everyone had their job, and their place. 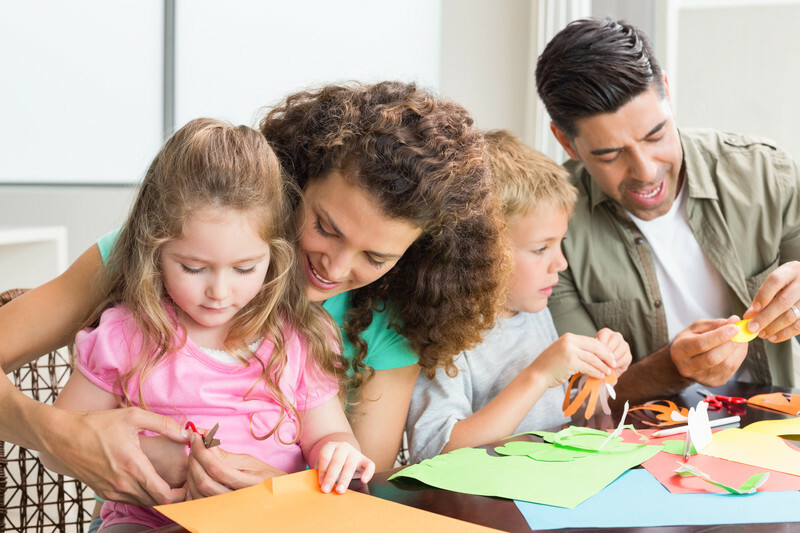 Crafting together is an activity that can create that family dynamic and culture. One child might be in charge of gluing, because that's what they enjoy, another with careful hands might cut or sew. Each child's innate strengths are being encouraged and valued, and a positive self image encouraged within the family unit. The family is being created as well as the project they are working on, and in future this project will remind the children of that part of their lives, and re-affirm their memory of what was special about your family while they were growing up. Creating and crafting together as a family has so many benefits and possibilities; I've only touched on two of them here. I'd love to know your thoughts as well; how does crafting together affect your family? 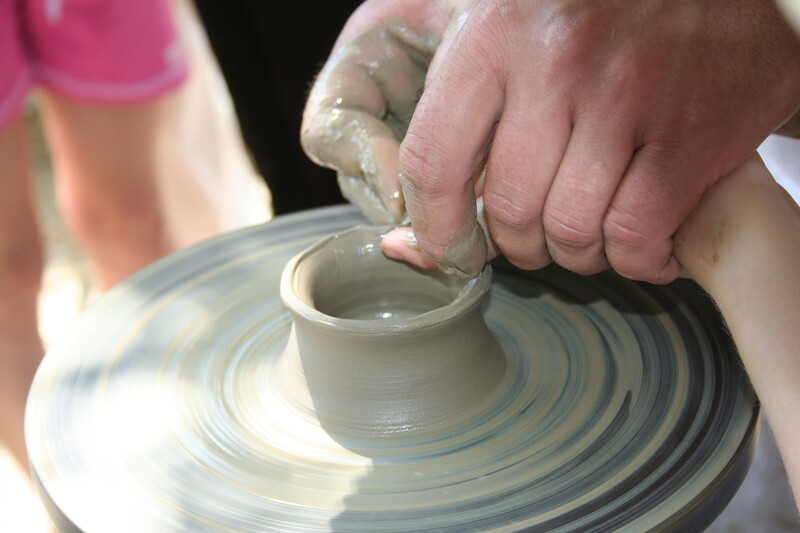 Do you have memories of making things as a child with your parents? I hear so many wonderful stories all the time from people who remember being taught to sew, paint, or make things from wood from parents or grandparents when they were small. Feel free to share your memory!